There is a power in nature deeper and more primal than magic. More ancient than the gods. The building blocks of creation. Water carves the land and fills the heart. The air crackles with the spark of life and blow the whisper of our breath. Fire purifies and lifts the veil of darkness. The earth, a barren husk without these, pulls them all together and sets them to order, giving birth to all living things. The elementalist ranger is a child of the elements. He sees their power in the seasons, the weather, the woods, and rivers. He begins to unlock their secrets. The elementalist is an archetype of the ranger class. At 2nd level, an elementalist must select the elemental combat style. At 1st level, the elementalist must select a favored element (air, earth, fire, or water). Whenever the elementalist inflicts damage with a weapon enhanced with his favored element, he gains +1 damage per die. At 5th level and every five levels thereafter (10th, 15th, and 20th level), the elementalist may select an additional favored element. 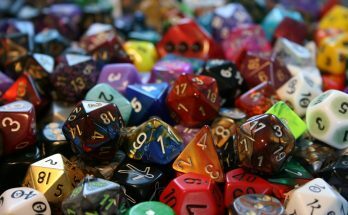 He may select the same element a maximum of two times, for a total of +2 damage per dice with the selected element. At 3rd level, the elementalist must select a favored element for his elemental defense. He may select only one element for elemental defense, and once the selection is made, he cannot change it. The elementalist gains damage reduction 1 against the favored element. At 8th level and every five levels thereafter, the DR increases by 1. At 4th level, the elementalist learns to harness the power of the elements through the use of elemental thorns. Elemental thorns empower his attacks, defenses and body. He gains a pool of elemental energy equal to 3 + his wisdom modifier, which he spends to activate his elemental thorns. Each thorn costs 1 point of elemental energy and is activated as a swift action, unless noted otherwise. The following is a list of elemental thorns and their effects. Cushion of Air (Ex): The ranger can use this thorn as an immediate action when he falls 20 or more feet, ignoring the first 20 feet of the fall when calculating the falling damage. If the ranger takes no damage from the fall, he does not fall prone. Earthbound (Ex): The ranger gains a +4 enhancement bonus to his CMD to resist bull rush, drag, reposition, trip, and overrun attempts as long as he is touching the ground. This effect lasts a number of rounds equal to the elementalist ranger’s Wisdom modifier. Elemental Wall (Sp): The ranger can create a 5-foot by 5-foot wall out of earth or ice. The wall gives the ranger cover from ranged attacks. The ranger can use the wall to gain full cover by fighting defensively. Energized Weapon (Sp): The ranger calls upon the elements to empower his weapon for one round. The ranger selects one element. His weapon gains a damage bonus of 1 +1 for every 5 elementalist ranger levels from that element. Favorable Gust (Ex): The ranger can move up to twice his speed as a move action. Fire Trap (Su): The ranger applies fire damage to a trap. The trap explodes in flames, dealing a number of points of fire damage equal to 2d6 + 1/2 the elementalist ranger’s level to the triggering creature. A successful Reflex save halves the damage. The DC of this save is equal to 10 + 1/2 the elementalist ranger’s level + his Wisdom modifier. Frozen Shards (Sp) As a standard action, an elementalist ranger casts a volley of frozen shards at his enemies as a ranged touch attack targeting a single enemy. This blast deals 1d6 points of cold damage + 1 point for every two elementalist ranger levels. An enemy damaged by frozen shards is staggered for 1 round. A successful Reflex save negates the staggered effect. The DC of this save is equal to 10 + 1/2 the elementalist ranger’s level + his Wisdom modifier. Muddy Track (Sp): The ranger creates a 5-foot by 10-foot area of muddy terrain. The muddy track lasts a number of rounds equal to the elementalist ranger’s Wisdom modifier. The area is considered difficult terrain and anyone entering it must make a Reflex save or be entangled for the duration of the muddy track, though they may reroll the save at the beginning of their next turn. The DC of this save is equal to 10 + 1/2 the elementalist ranger’s level + his Wisdom modifier. Smoke Screen (Sp): The ranger encases himself in a 5-foot wide column of smoke that lasts a number of rounds equal to his elementalist ranger level. The smoke grants the ranger concealment against all melee attacks. Static Shield (Sp): The ranger is sheathed in bristling electricity for up to 5 rounds. The shield is discharged in a flash of electricity upon the first enemy to damage the ranger with a melee attack. This flash deals 1d6 points of electricity damage + 1 point for every two elementalist ranger levels to the enemy and dazzles them for 1d4 rounds. A successful Reflex save negates the dazzled effect and halves the damage. The DC of this save is equal to 10 + 1/2 the elementalist ranger’s level + his Wisdom modifier. This ability replaces all spellcasting, and the elementalist ranger is not considered to have a caster level.